Seeking internal conflict within a predominantly external medium. In story, the forces of conflict arrange themselves in unique and natural patterns. When balanced properly, a story can deliver substance and meaning on a scale unheard of in lesser delivery mechanisms. Beyond offering Authors insight as to why their stories might be struggling, this understanding also allows writers to infuse their work with an originality and purpose difficult to attain through mere muscle. Recognizing the most common patterns of conflict and sampling those not-so common patterns broadens the knowledge-base of those who work in narrative fiction while freeing their imagination to consider new possibilities. Many story gurus/theorists claim a methodical approach to story structure as the best means towards creating a story of substance. Whether it be through a template of beats or a heroic journey from one world to the next, this advice aids the writer, yet never truly tells them as to why they should be adhering these ideas. Lacking a concrete explanation as to the meaning of these story points, the writer can do little more than follow along and hope for the best. More often than not, this approach leads to the same story, told in the same way, with little to no substance. Contrast this sad result with the varied opportunities left open to writers who understand Dramatica’s concept of the Four Throughlines. As we have seen throughout this series, the order or beats that a story goes through pale in comparison to the power of focusing a story’s conflict on purposeful explorations of unique and connected throughlines. What there is to cover becomes far more important than hitting those beats. With this approach, the writer can avoid the same ‘ol same ‘ol, allowing their muse to create with intent. Complete stories cover external and internal conflicts simultaneously. Certain parts of a story will focus on the efforts in the physical world, while others will emphasize the struggle within. Hollywood tends to favor the external struggle found in situations and activities. Why? Visual medium, visual moments of conflict. Rarely do they venture inwards—such an act generally calls for a more ponderous medium. In the article on exotic story structures, conversation centered around Main Characters with deficient ways of thinking. Both Red in The Shawshank Redemption and Hamlet in his self-titled play stood up as suitable candidates for this particular type of conflict. Yet in the big picture, these two stories explore different areas of conflict. Shawshank tells the story of men consumed by an intolerable situation. Hamlet, on the other hand, tells the story of men (and a woman or two) consumed by their obsessions and the obsessions of others. Hamlet’s sustained grief for his father and Claudius’ call for “discretion” exemplify the kind of overall story-wide conflict that comes from Problematic Fixed Attitudes. Conflict exists because of what everyone thinks, not because of their particular situation. Matched with Hamlet’s personal struggle over the way he thinks, this universal look at conflicting attitudes creates a story with a personality unlike any other. Why aren’t there more movies that take advantage of this unique setup? Communicating deficient psychologies and conflicting mindsets becomes somewhat of a challenge within the sparse confines of a screenplay. Stories that share this particular story “personality”—Amadeus and The Great Gatsby to name a few—stand out in mediums where the struggle over the internal can more readily play out. Novels and plays embrace the internal with a confidence Hollywood cannot. Still, the convenience of that reality does not preclude the possibility of success. 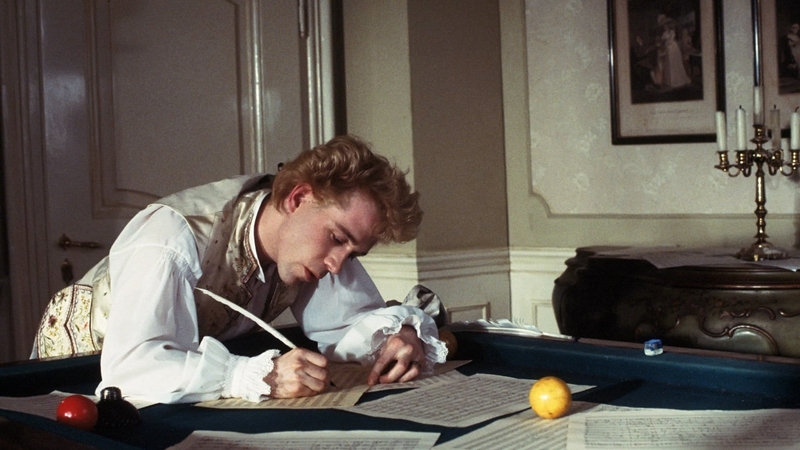 Amadeus did pretty well and continues to sit atop many of the “greatest films of all time” charts. For the adventurous and resolute screenwriter the challenge of visualizing the internal lies in wait. With this final piece of the puzzle, this series on Conflict comes to an end. A comprehensive understanding of conflict and the throughlines that explore them met. Whether internal or external, state or process, every kind of inequity in the known Universe has its spot within the world of story. These areas of conflict are not real. They’re not tangible. They don’t exist as much as they stand for our own perceptions of what we observe and sense. As Melanie Anne Phillips, co-creator of Dramatica, is always fond of quoting, “The energy that flows through a system tends to organize that system” (Buckminister Fuller)—meaning these areas of conflict are built by our own minds. Our personal operating systems call for conflict to fall down these lines. Because we create these stories, it is only natural that they reflect our own internal thought processes. Stories are models of our own minds at work. The foundation for Dramatica sits upon this idea and instructs its every concept. It’s the reason why every story written with the theory or every story that fits easily into its framework feels complete and comprehensive. As audience members, we know how we think. Stories that honor that knowledge find a special spot in our hearts and in our minds. If our minds evolve then this structural chart will have to transform as well. But for now, its accuracy stays unparalleled. The structural chart—these four Areas of Conflict and the Throughlines that attach to them—are not a “system” for creating Hollywood blockbusters. They are not templates or elaborate plotting machines. They are reflections of ourselves. It just so happens that those stories that reflect us the best often become the ones we honor the most—with ticket sales and gold statues.